If you run a sign shop, chances are someone asked to have the corners of their sign rounded. Who wouldn’t want that?! Rounded corners look great, and they are a much safer option than square corners, especially when the sign will be mounted anywhere but flat on a wall. A popular tool to cut corners is a corner rounding machine. Like the name suggests, corner rounders quickly and easily round off the corners of square sheet stock. 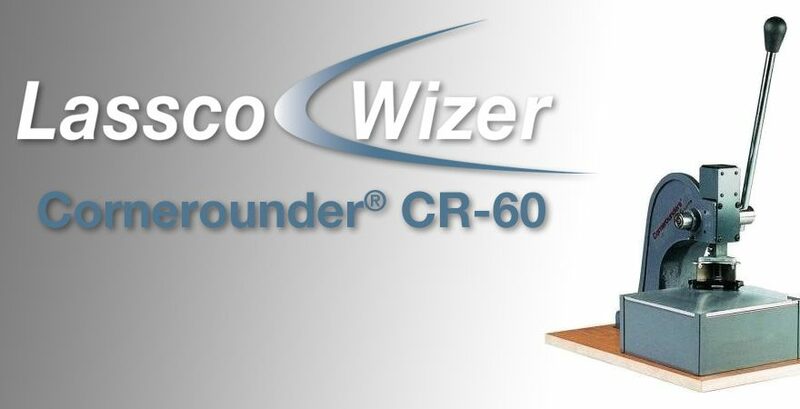 One popular model is the Cornerounder® CR-60 from Lassco-Wizer. 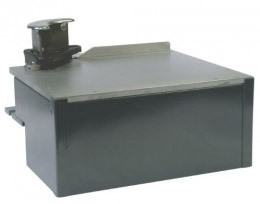 The CR-60 was specifically designed for the sign making industry. With a 1-ton press force, and super durable blade and table system, the CR-60 can round off the corners in anything up to .080 (12 gauge) half hard aluminum. Simply place the item to be cut under the blade assembly and pull the handle. If you ever played the slots in a casino, you can work this machine. The cutting table has edge guides to line up the piece for perfectly rounded corners every time. Lassco-Wizer developed a cutter table system that makes changing corner radii a snap. Each table holds one cutter blade in the cutter mechanism. You can order tables with each of the different radius cutter blades, ½”, ¾”, 1” and 1-1/2”. Simply swap the table to change the radius. And replacing worn cutter blades is also easy. Of course, the Lassco-Wizer Cornerounder CR-60 can be used on paper, card stock, plastics, softer metals like brass or copper, or many other materials. 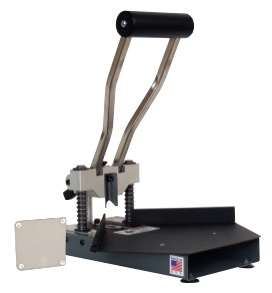 This corner cutting machine would make a great addition to any sign shop. The CR-60 was built to last. At a weighty 38 lbs, the machine will definitely sit securely on your work bench. Yet at only 12” x 9”, it won’t take up much space. How Do I Choose the Right Corner Rounder for My Print Shop?